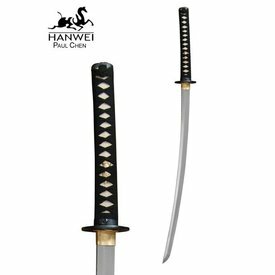 The Lion-dog Komainu guard the gates of the Shinto shrine (Jinja). 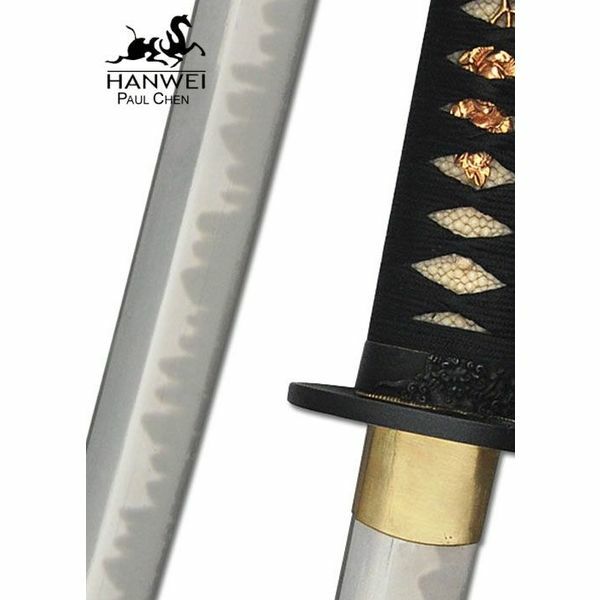 The Komainu refers to the O-Kissaki blade. 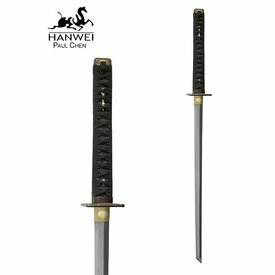 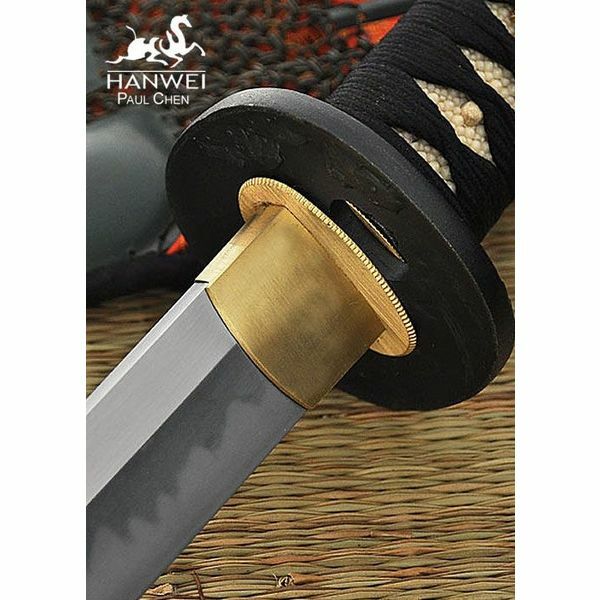 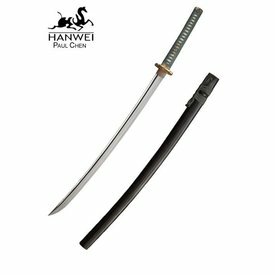 This katana has a HWS-1S steel blade with a hardness of 58 to 62 HRC. 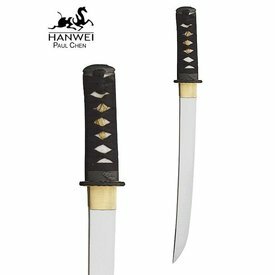 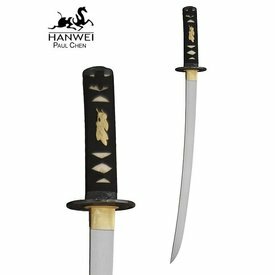 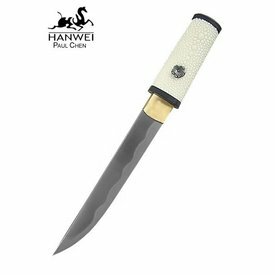 The blade has a beautiful O-choji Hamon layer and combines deadly expediency with a good flexibility. 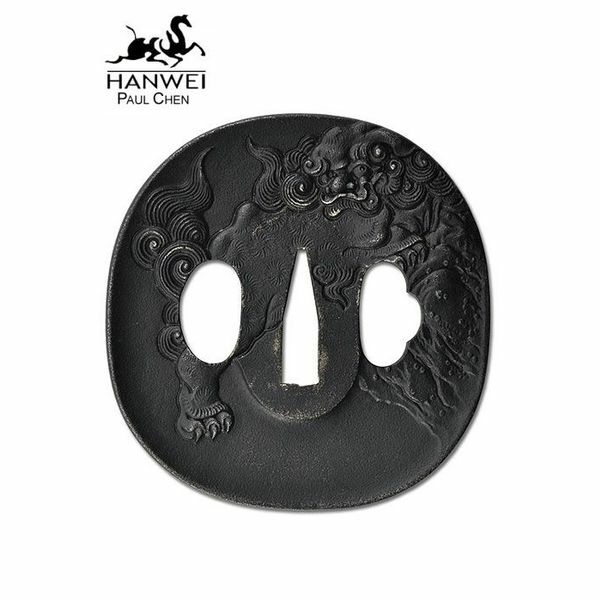 Komainu are depicted on the tsuba and the grip is made of natural shagreen, the sageo is made of hand-woven silk. 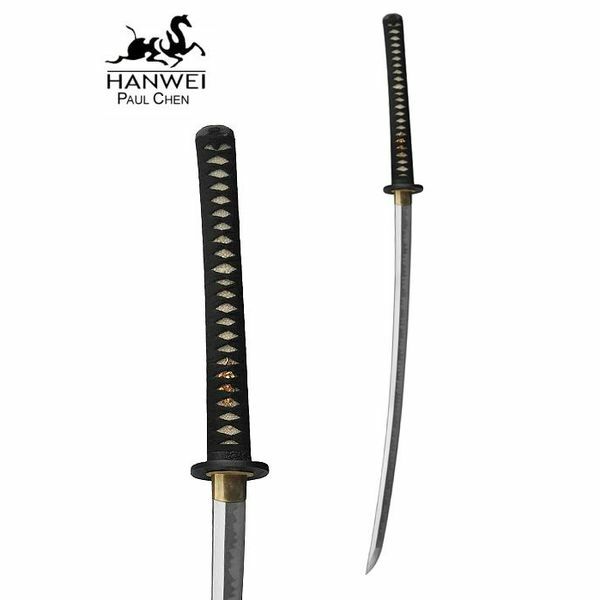 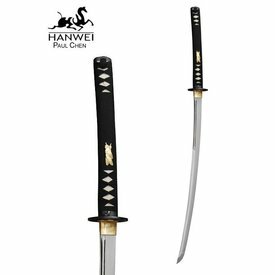 This katana is 114 cm long with a 75 cm blade and a 33 cm grip. 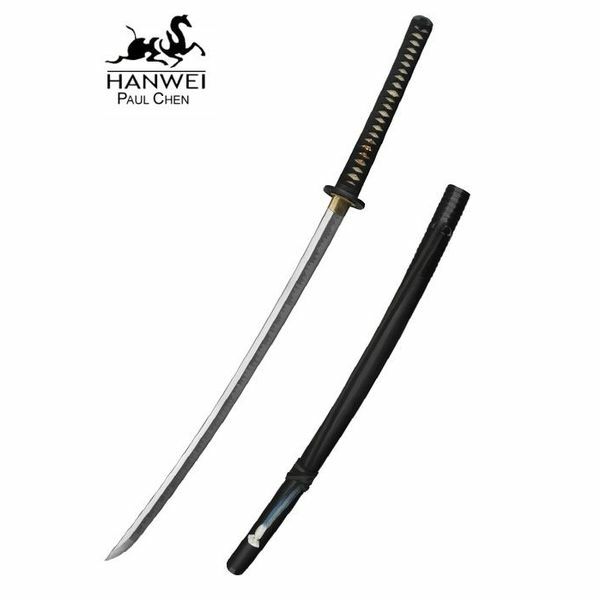 It weighs 1500 grams. 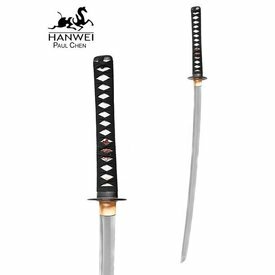 When purchased, this very rare katana can not be returned.